Someone ask this " What Can i to When my Stomach is Getting Big?" This is one of the common questions we receive on this site from our readers and i am writing to provide solutions to these as you read on. 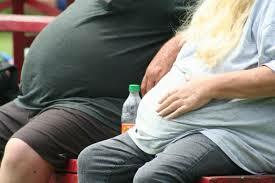 If your stomach is getting big and bigger, it means your are adding weight and some are laying around the stomach as this is coming among men. 1. Reduce Fatty Foods: One of the best ways to reduce fat around the stomach region that is, to reduce your tummy is to reduce fatty foods such as fried foods, junks foods like meat-pie, snacks, canned beef, can foods etc. These are food that add extra fat to the body and you need to avoid them. 2. Reduce Sugar: Sugar consumption is one of the ways to reduce extra fat around the body. To do this, stop eating to much sugary foods, cut down on soft drinks, eat less of chocolate, eat less of biscuits and sweets etc. 3. Eat more Vegetables and Fruits: You can replace your consumption of sugar and fat with natural fruits and vegetables. Fruits and vegetables helps in fast digestion and do not allow excess calories to store around the body. The are s many fruits like Oranges, Carrot, Watermelon, Pineapple, Banana, Blueberries, Mango and many more. 4. Do Sit-Ups: Sit-up is a kind of exercise recommended for the body with around the stomach region. Sit ups help create and shrink muscles in the stomach which prevent excess fat from staying around it. Sit-up exercise is good for the body and has been seen as one of the best cardio exercise that works fast. You only need to lie down flat with your back, then raise your head along with your back as if you want to touch your toe. Do that multiple times and you see the change. 5. Do Cardio Exercise: Cardio exercise includes any exercise that makes you breath fast and has been describe as the best exercise to lose weight. It also help reduce big stomach especially the stubborn type that refuse to go after many exercise. Example includes skipping, running, jogging, swimming, jumping etc. 6. Walking: I think most people who complain a lot about their stomach getting are usually involved less energetic work like sitting walk, retired men/women, breast feeding mothers, etc. If that is it, learn to take a walk when the distance isn't too far and not every time you go out with your car or bus but take a walk. 7. Ride Bicycle: If you have a complain about your tummy getting big, then try moving around with a Bicycle instead of your car. It works well in most people, using bicycle is healthy for you because its a form of exercise. 8. Eat Less: If your tummy or stomach is getting big, it means your body system is absorbing excess fat than it requires so eat less in order to regulate such. Many people eat less and they still get fat while some eat more and still stay slim but i think it depends on the body system of such person. These are ways you can reduce your big tummy or your big stomach to have a flat one. Just go through the ideas posted above, implement it as slow as you can and you stay fit with time. It doesn't just happen in a day but only with time. Thanks for reading.